Of late, there has been an increasing awareness regarding the therapeutic potential of stem cells for management of diseases which is boosting the growth of the stem cell therapy market. 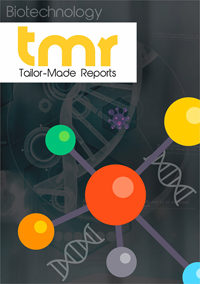 The development of advanced genome based cell analysis techniques, identification of new stem cell lines, increasing investments in research and development as well as infrastructure development for the processing and banking of stem cell are encouraging the growth of the global stem cell therapy market. One of the key factors boosting the growth of this market is the limitations of traditional organ transplantation such as the risk of infection, rejection, and immunosuppression risk. Another drawback of conventional organ transplantation is that doctors have to depend on organ donors completely. All these issues can be eliminated, by the application of stem cell therapy. Another factor which is helping the growth in this market is the growing pipeline and development of drugs for emerging applications. Increased research studies aiming to widen the scope of stem cell will also fuel the growth of the market. Scientists are constantly engaged in trying to find out novel methods for creating human stem cells in response to the growing demand for stem cell production to be used for disease management. It is estimated that the dermatology application will contribute significantly the growth of the global stem cell therapy market. This is because stem cell therapy can help decrease the after effects of general treatments for burns such as infections, scars, and adhesion. The increasing number of patients suffering from diabetes and growing cases of trauma surgery will fuel the adoption of stem cell therapy in the dermatology segment. Osteoarthritis, cerebral palsy, heart failure, multiple sclerosis and even hearing loss could be treated using stem cell therapies. Doctors have successfully performed stem cell transplants that significantly aid patients fight cancers such as leukemia and other blood-related diseases. The key factors influencing the growth of the global stem cell therapy market are increasing funds in the development of new stem lines, the advent of advanced genomic procedures used in stem cell analysis, and greater emphasis on human embryonic stem cells. As the traditional organ transplantations are associated with limitations such as infection, rejection, and immunosuppression along with high reliance on organ donors, the demand for stem cell therapy is likely to soar. The growing deployment of stem cells in the treatment of wounds and damaged skin, scarring, and grafts is another prominent catalyst of the market. On the contrary, inadequate infrastructural facilities coupled with ethical issues related to embryonic stem cells might impede the growth of the market. However, the ongoing research for the manipulation of stem cells from cord blood cells, bone marrow, and skin for the treatment of ailments including cardiovascular and diabetes will open up new doors for the advancement of the market. A number of new studies, research projects, and development of novel therapies have come forth in the global market for stem cell therapy. Several of these treatments are in the pipeline, while many others have received approvals by regulatory bodies. In March 2017, Belgian biotech company TiGenix announced that its cardiac stem cell therapy, AlloCSC-01 has successfully reached its phase I/II with positive results. Subsequently, it has been approved by the U.S. FDA. If this therapy is well- received by the market, nearly 1.9 million AMI patients could be treated through this stem cell therapy. Another significant development is the granting of a patent to Israel-based Kadimastem Ltd. for its novel stem-cell based technology to be used in the treatment of multiple sclerosis (MS) and other similar conditions of the nervous system. The company’s technology used for producing supporting cells in the central nervous system, taken from human stem cells such as myelin-producing cells is also covered in the patent. The global market for stem cell therapy can be segmented into Asia Pacific, North America, Latin America, Europe, and the Middle East and Africa. North America emerged as the leading regional market, triggered by the rising incidence of chronic health conditions and government support. Europe also displays significant growth potential, as the benefits of this therapy are increasingly acknowledged. Asia Pacific is slated for maximum growth, thanks to the massive patient pool, bulk of investments in stem cell therapy projects, and the increasing recognition of growth opportunities in countries such as China, Japan, and India by the leading market players. Several firms are adopting strategies such as mergers and acquisitions, collaborations, and partnerships, apart from product development with a view to attain a strong foothold in the global market for stem cell therapy. Some of the major companies operating in the global market for stem cell therapy are RTI Surgical, Inc., MEDIPOST Co., Ltd., Osiris Therapeutics, Inc., NuVasive, Inc., Pharmicell Co., Ltd., Anterogen Co., Ltd., JCR Pharmaceuticals Co., Ltd., and Holostem Terapie Avanzate S.r.l.